Growing your own herbs in an urban setting has become quite the craze lately and Click & Grow Smart Farm is adding to that craze. You’ve probably already witnessed farm-to-table restaurants popping up all over upcoming neighborhoods, so if you’re a chef with the same business plan, it’s time you start looking into growing your own herbs. 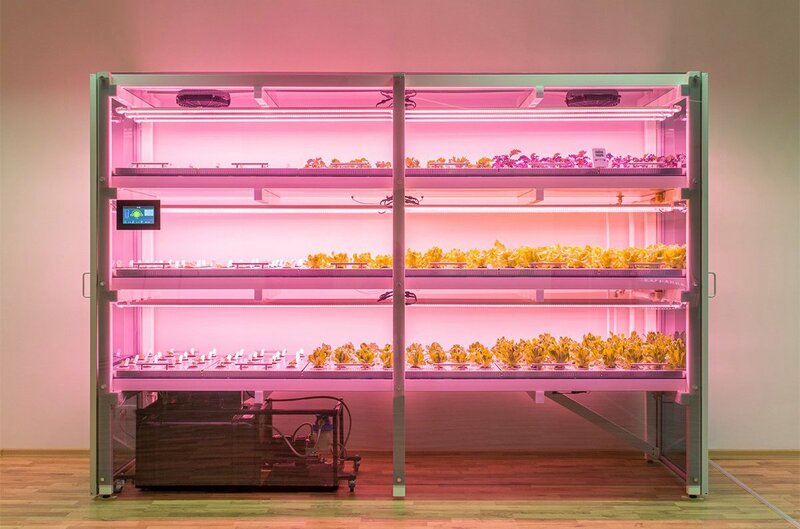 With Click & Grow’s technology the ability to grow 288 plants at a time, in a roughly 16.5′ by 5.5′ frame, might be the perfect investment you were looking for. Smart farm technology includes three levels containing integrated automated watering and lighting systems which reduce maintenance time to just a couple hours a week. Benefits from investing in this smart garden are reduced food waste, reduced water usage and faster growth of plants that contain more nutrients and less nitrates. And since it’s an investment, you’ll reduce costs and eventually make your money back in the long run. Smart Farm can be built in any size. Bigger farms can be further automated and used for industrial food production. How much closer can the farm get to your table?